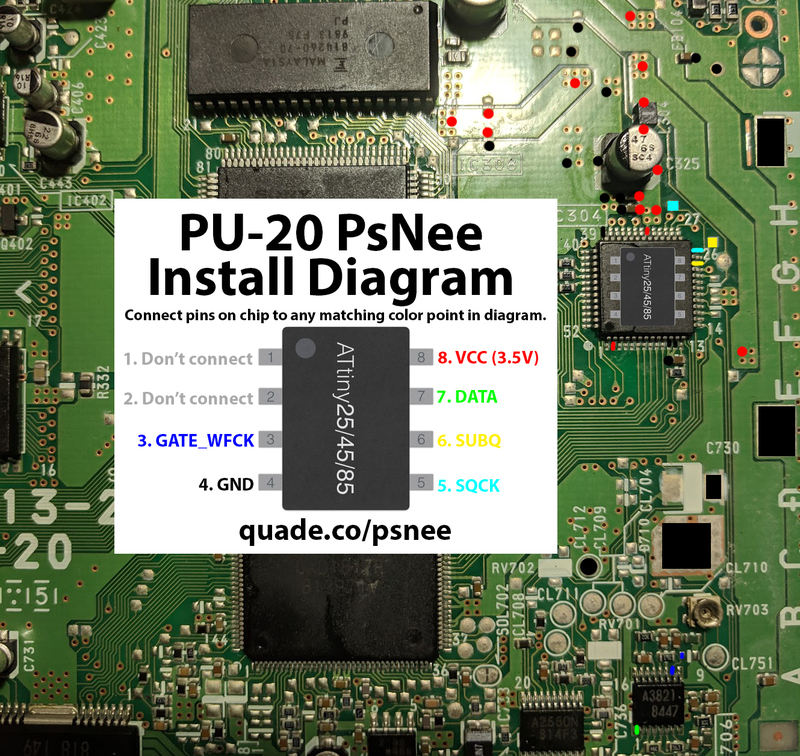 Above is the installation diagram for the PU-20. Just match each colored pin label in the diagram with any matching colored point on the board. There is a second image of the chip in the diagram showing a good place to position the chip. 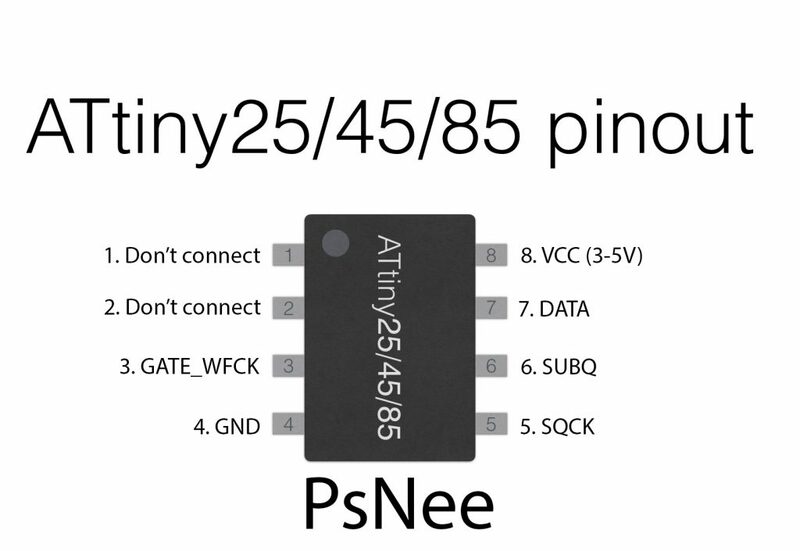 The DATA pin can be trickier to solder, make sure you don’t use too much solder or you risk bridging pins on the chip. This is an example of an installation I did in a PU-20 using a socket. Using the socket allows me to test chips, and test new PsNee code. 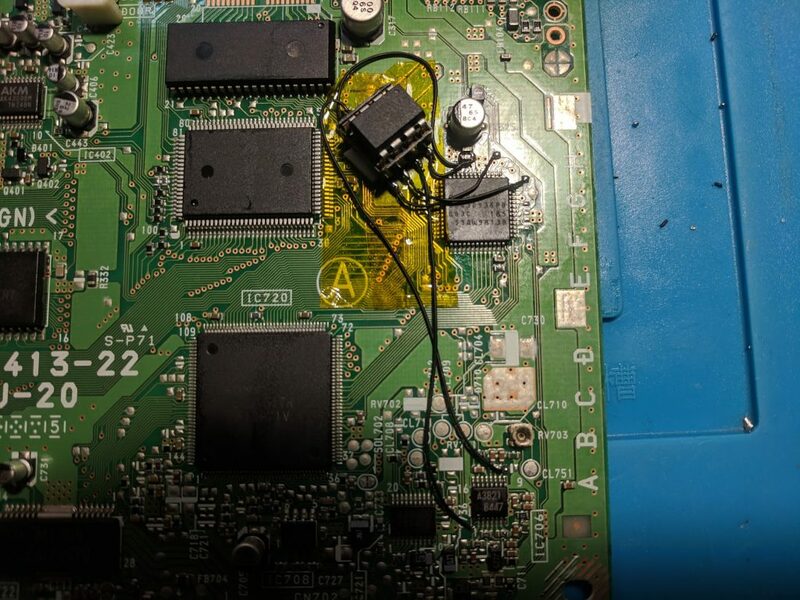 Note that the chip is a little too tall and prevents the top metal shield from going on all the way.